I just had to play along with the last Curtain Call Inspiration Challenge! Thanks, Stacey, for keeping this challenge going for as long as you did! It was one that I enjoyed a lot. 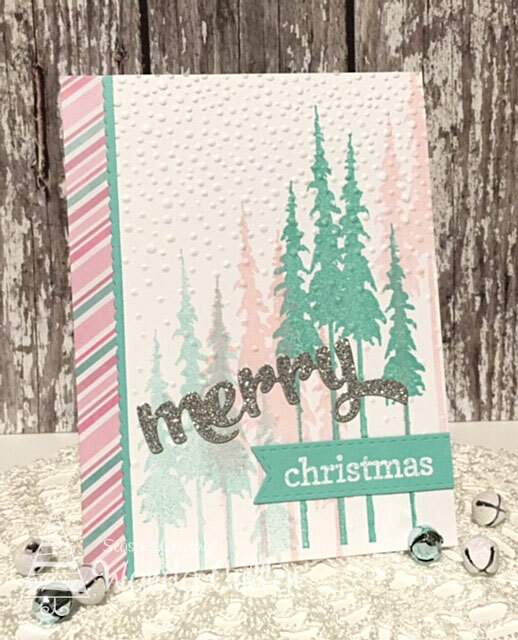 This last challenge has a "pine" theme going on, so I immediately went for PTI's Holiday Greens stamp set with matching dies. The sentiment - also by PTI - was cut three times from Cherry Cobbler CS to give it more dimension. The V-cut die is MFT's Stitched Basic Elements. 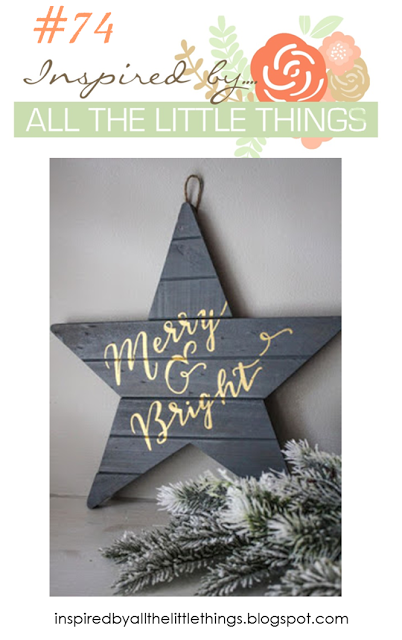 Papers are from Stampin' Up's Trim the Tree pad. It was a great, mild winter day in VA with temps up in the 50's! Perfect for doing some shopping and picking up our favorite ham! I came up with these creations when I thought I was finished with my Christmas cards...only to think of more people I wanted to share with! The first one (plus two others that are slight variations) went out today to our 3 grown kiddos and their families. 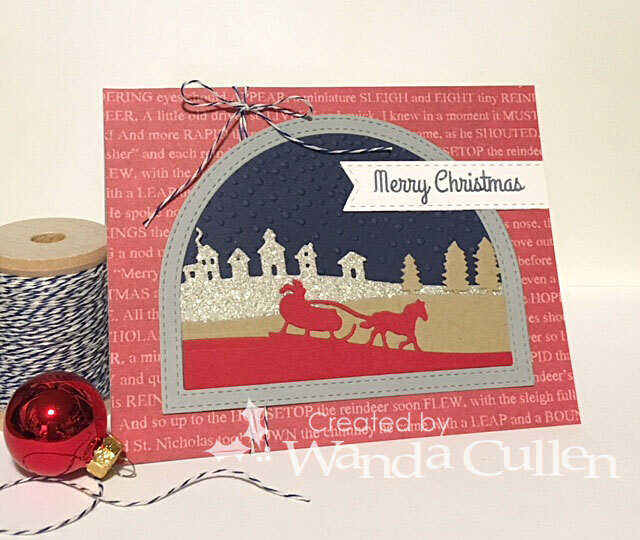 I used Stampin' Up's Sleigh Ride edgelit dies and MFT's Stitched Dome Frames and Stitched Fishtail Flags STAX Die-Namics. The sky was embossed with the Softly Falling embossing folder by SU. I've had this Holiday Home stamp set and Homemade Holiday Framelits dies - all by SU - since last year and am just now using them! Sad...right? The house was colored with Copics and I stuck with the color palette for the current Color Throwdown challenge to use pink, green, kraft and white. 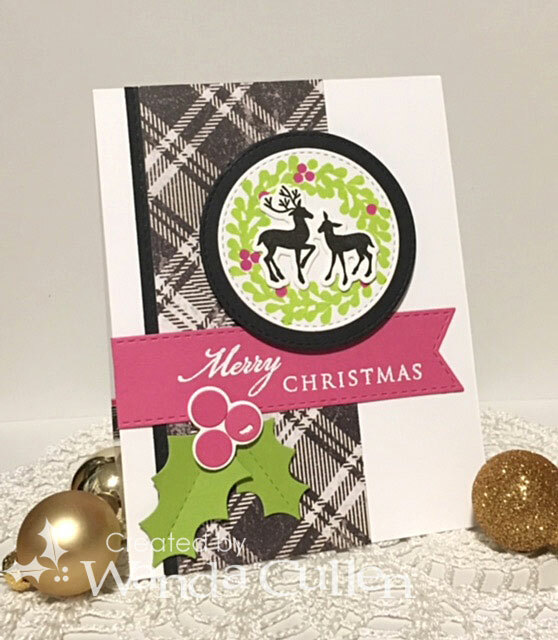 I love all the beautiful plaid papers in MFT's Plaid Patterns Merry & Bright 6x6 pad! 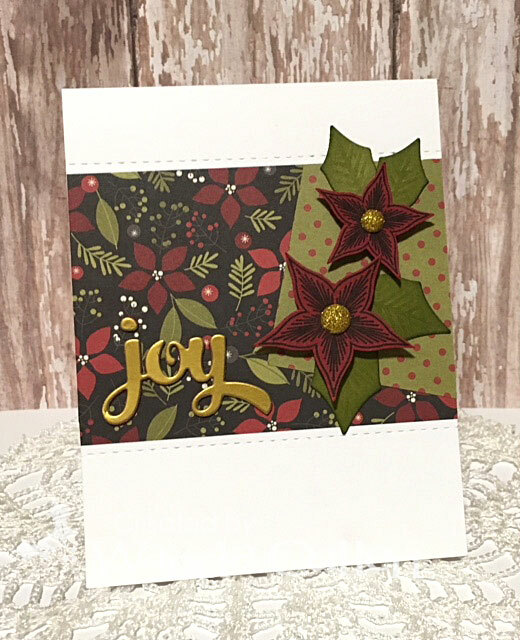 Last, but not least, is this poinsettia creation using Altnew's Poinsettia and Pine stamps and dies. It's one of my fave Christmas florals! I gold embossed the images then colored with Zig clean color brush markers and blended with an Aquapainter brush. The script paper is from Tim Holtz' Christmas 8x8 pad and the polka dots are from my leftover stash and I'm not sure of the source. Thanks so much for stopping by...hope you are keeping warm in your corner of the world because...brrrr...it is very cold here in VA! 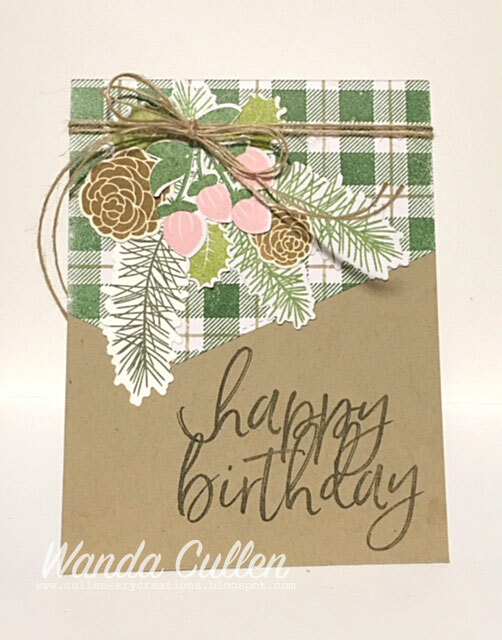 I started with creating the plaid background using Garden Green and Crumb Cake inks by SU and the Plaid Background Stamp set by Concord and 9th. I die cut and stamped a collage of greenery/pinecones/berries from PTI's Holiday Greens stamp set. The sentiment is from PTI's Pen and Ink stamp set. The edge of the plaid panel was die cut with one of MFT's Stitched Element dies. Some jute twine tops it off! Congrats to Kelly Schirmer from Gingham Girl who is our guest star stamper this week! Be sure to stop by her blog and say hello. I whipped out a couple more of the same Christmas cards this afternoon. No particular challenge in mind. 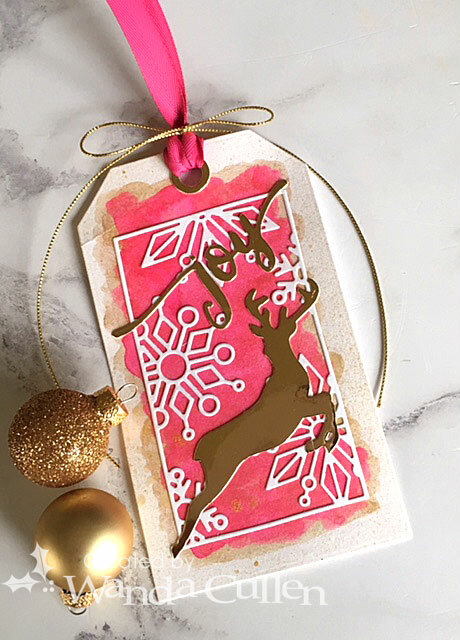 I like these non-traditional colors for Christmas and combined products from many different stamp companies! STAMPS: Unto Us (Verve) - deer; Wreath For All Seasons (Papertrey Ink) - wreath and sentiment. PAPER: Tim Holtz "Christmas/Noel/Navidad" 8x8 pad; Black Licorice & Ripe Raspberry (MFT); White (PTI); Lime Green (Reverse Confetti). INK: Parakeet, Magenta (Reverse Confetti); Versamark; Versafine Black Onyx. 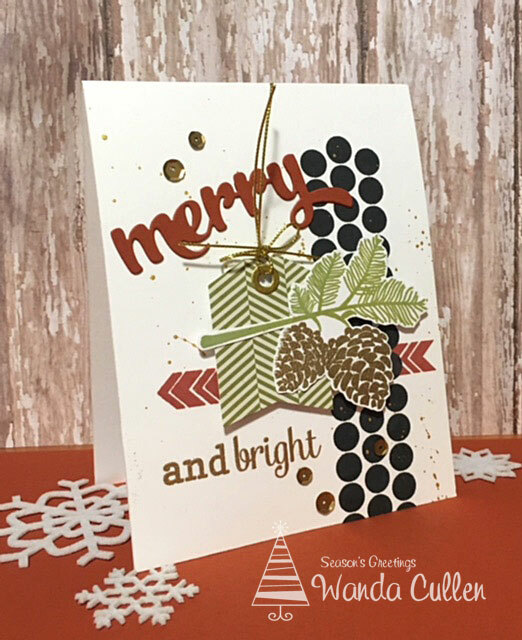 DIES: Edge Essentials (Reverse Confetti); Stitched Circles and Fishtail Flags STAX Die-Namics (MFT); Holly (Reverse Confetti); Reindeer Fun (Verve). Confetti's Pattern Play 6x6 pad. Jen Del Muro (RC owner/designer) lost her father earlier this year so the holidays will be especially tough for her mother. She asked friends to send a card to her mom to help brighten her days. This card will be heading her way! No matter what sorrow we have to face, God will never leave our side, so what better Christmas sentiment that this one which reminds us to adore Him! 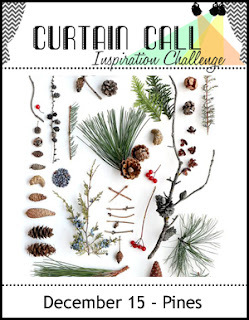 I used the layout for Reverse Confetti's December Sketch For You To Try challenge. PAPER: Lime Green, Piggy Bank, Pattern Play by RC; Pear Pizzazz, Chocolate Chip by SU; White by PTI; Brushed Gold metallic CS. DIES: Leafy Wreath, Branch Out - Reverse Confetti. I've got a really simple card design inspired by this fun New Year's celebration photo for the new Inspired By All The Little Things challenge! When I first saw the photo, I immediately went for this patterned paper in the Fancy That! 6x6 pad by My Mind's Eye. I started to add 2018 to the card, but my number dies were too large and I couldn't find any number stickers in my stash, so I just went with a more generic look that could represent many celebration occasions like a retirement, an engagement, etc. It would work with a gift of wine, don't you think? 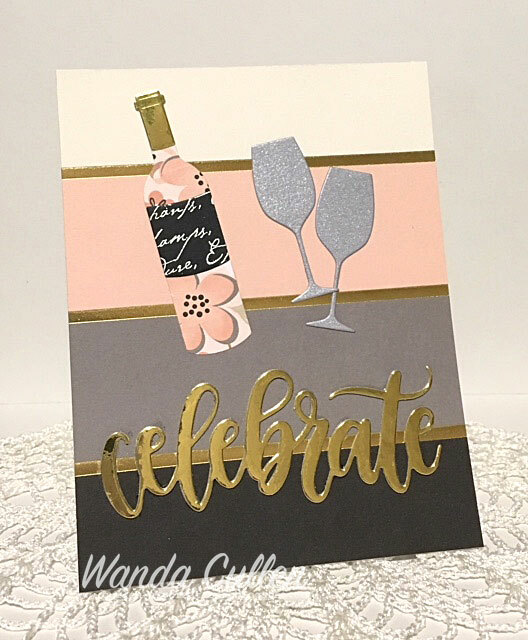 I really love this 'celebrate' die by MFT along with the wine dies...also by MFT! The wine bottle is so fun to paper piece. We hope you'll take some time during this busy season to play along with us! Would love to see your creation in the gallery! Hello and here's hoping everyone is having a terrific Thursday! 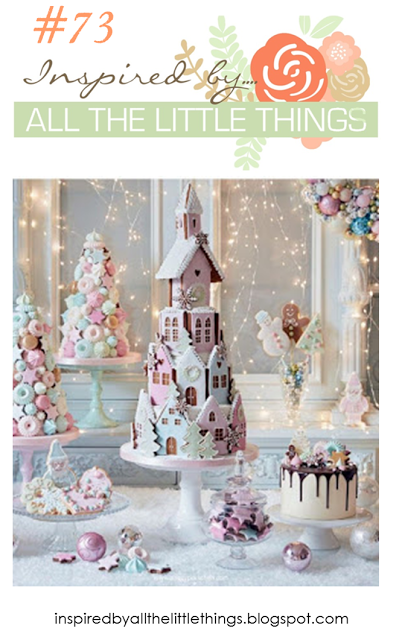 I am thrilled to share I am guest designing for today's CAS(E) This Sketch challenge! 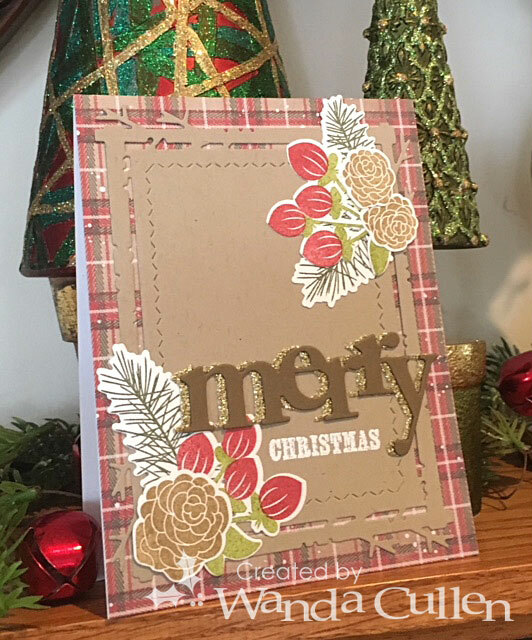 Leigh has chosen a really fun layout and it was perfect to group some images from Papertrey Ink's Holiday Greens stamp set. 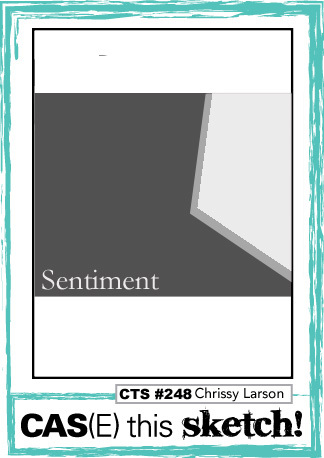 STAMPS: Holiday Greens (PTI), Peaceful Pinecones (PTI) - sentiment. PAPER: Say Freeze 6x6 pad by Craft Smith; Kraft (PTI); Gold Glitter CS; Soft suede (SU). INK: Baked Brown Sugar, Always Artichoke, Old Olive, Riding Hood Red by SU. 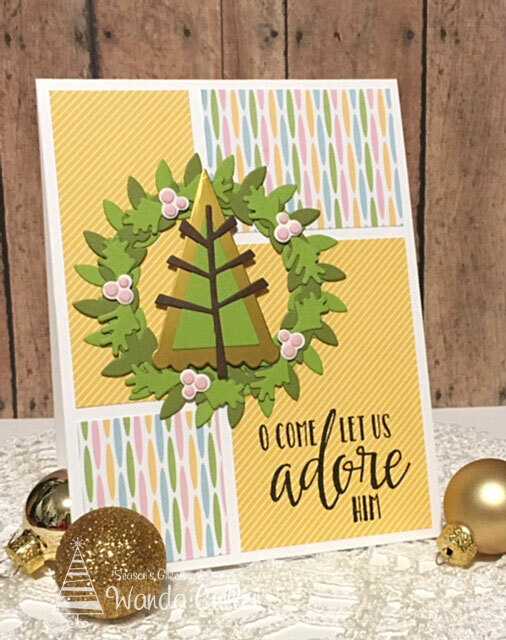 DIES: Mix and Mat: Plaid Die (birch frame) by PTI; Wonderful Words Holiday Die Collection by PTI; Holiday Greens by PTI. We would love to have you play along, so hope to see you in the gallery! I missed the deadline, but was inspired to create this tag by Jessica Frost-Ballas' gorgeous pink and gold reindeer tag for the Tag...You're It Challenge! I'm also joining in with Simon Says Stamp Wednesday challenge with a 'gift it' theme (gift tag). I first painted the blue gold from Gansai Tambi Starry Colors palette then layered Bright Opera paint from Mijello Mission Gold palette. 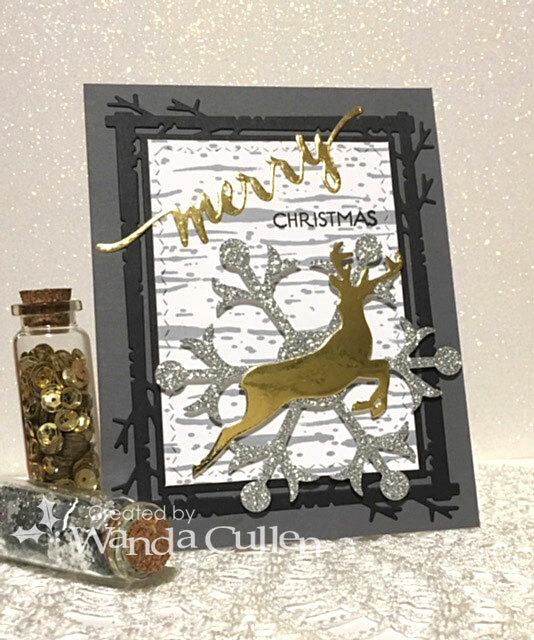 I adhered Simon Says Stamp's Snowflake Block die than added shiny gold sentiment and reindeer dies to the tag. The shimmer and shine simply does not show up well in the photo. Boo. A very cloudy day just didn't work to get a good photograph. Another Wednesday means another Color Throwdown Challenge is up and running. Barbara is our hostess this week and was inspired by this great winter scene to use red, gray and black. I used the new Viva la Verve sketch for December and wanted this sentiment to be the focal point. I can't seem to get enough Christmas cards created this year (Note to self: start earlier next year!). 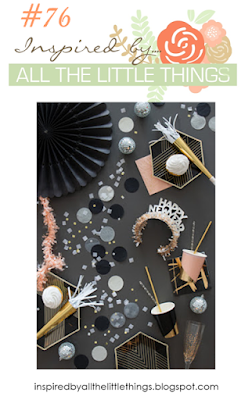 PAPER: Tis the Season 6x6 pad by Echo Park. DIES: Stitched circle, rectangle and scalloped border by Lil' Inker Designs; Stitched Fishtail Flags Die-Namics by My Favorite Things; Let it Snow (snowflakes) by Reverse Confetti. 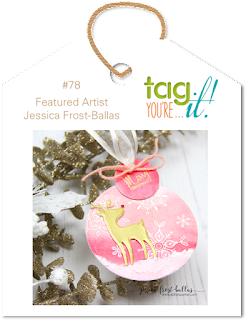 We're happy to announce that the talented Debra James is our guest designer for December! Welcome Debra! (Edited to add...she has the most adorable card for today's challenge!). I also want to give a shout out to our star stamper this week - Kathy Straw! Stop by her blog HERE to say hello. 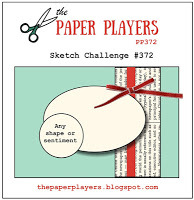 I'm also playing along with the Paper Players challenge which has a great sketch this week (I did a flipped version of it and omitted the ribbon)! 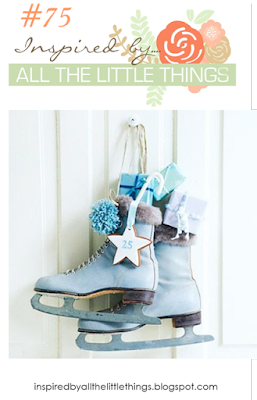 STAMPS: Warm Winter Wishes (Flourishes), Winter Groves (Paper Smooches). 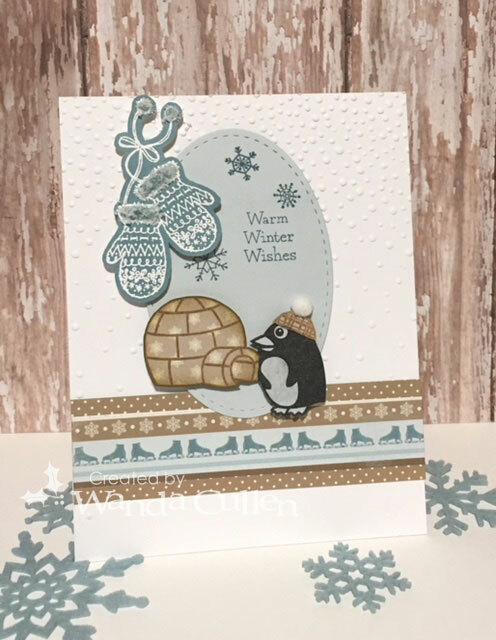 PAPER: Winter Fun 6x6 pad by Carta Bella. INK: Blue Bayou, Baked Brown Sugar (SU), Versafine Onyx Black, Versamark. MISC: Softly Falling EF by Stampin' Up; Stitched Oval die by Lil' Inker Designs; Polar White Flower Soft; Pure White embossing powder by Altenew. We would love to see how YOU are inspired by this photo! Hope to see you in the gallery! 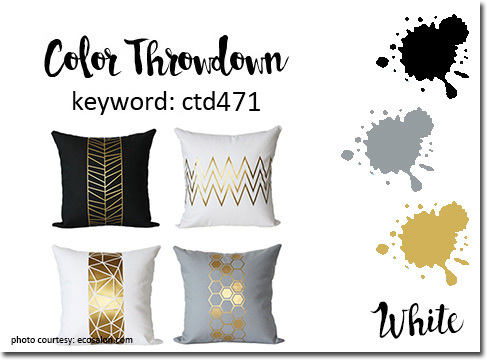 Another Wednesday which means a new Color Throwdown Challenge! We have a gorgeous, elegant color combo...brought to us by Amy Rysavy: gold, gray, black and white! 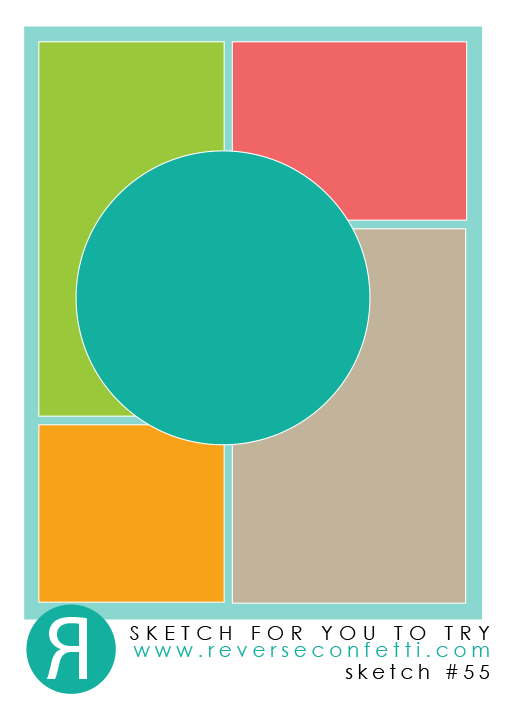 I used products from three different companies to create a couple of cards. PTI recently released this birch background stamp and birch frame which pairs up well with WPlus9's Stag Trio dies. The large snowflake is by Stampin' Up. 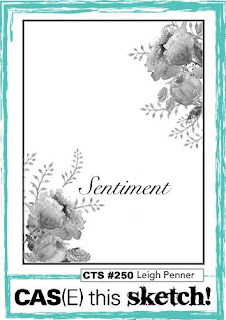 Sentiment is also from WPlus9 and is from their Hand Lettered Holiday stamp set with matching dies. While I had my supplies out, I went ahead and created a similar yet different card. Snowflake dies are by WPlus9. Are you all shopped out yet after Black Friday or are you like me and you do most of your shopping online? I'm waiting on Cyber Monday to roll around to pretty much complete my Christmas shopping! A few clicks, no or few shipping charges and it's delivered to my doorstep. Doesn't get any better than that! I'm not a fan of long checkout lines and extra traffic, so ordering online solves that stress as well. OK...let me get down to stamping business - lol! Hopefully, you'll have some free time to get inky and play along with the new Inspired By All The Little Things challenge! I took one look and thought "rustic farmhouse decor"...something Chip and Joanna Gaines would add to one of their Fixer Upper houses! 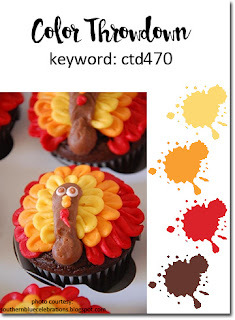 I used mostly Reverse Confetti products with the exception of the pine bough. I was inspired to incorporate some black, an evergreen image and some pops of gold. I also used the merry and bright sentiment that is in the photo. The gold splatters were added using yellow gold paint from Gansai Tambi's Starry Colors palette. I'm thinking this card would be good for a masculine recipient. STAMPS: Peaceful Pinecones (PTI); Whole Lotta Dots, Arrows and Elements, Bring on the Merry - all by Reverse Confetti. 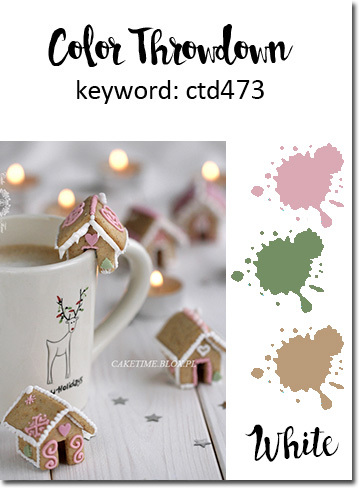 PAPER: Cozy Christmas 6x6 pad by Simple Stories; Cajun Craze (SU). INK: Fired Brick, Peeled Paint, Black Soot Distress Oxide inks by Ranger; Versamark. DIES: Tag Me and Winter Words by Reverse Confetti. That's all for now folks...enjoy the rest of the holiday weekend! It's been wonderful having the entire week off work! 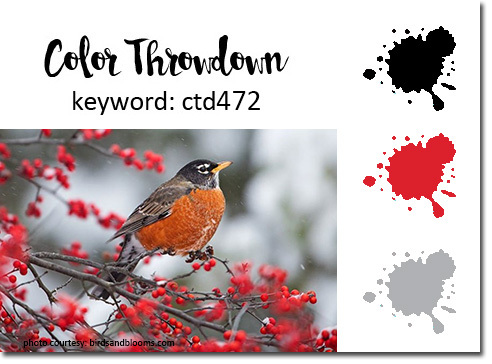 It's a special week of celebrating Thanksgiving here in the US and yours truly is this week's hostess for the Color Throwdown Challenge! Though I thought the inspiration photo was rather cute months ago, I'll admit I was a bit stumped at my own colors of yellow, orange, red and brown. I browsed through a box of miscellaneous stamps that I accumulated many years ago, and this rubber stamp image from Lili of the Valley Ltd from the UK caught my eye. I colored with Copics and thought this polka dotted paper from My Mind's Eye Winter Wonderland 6x6 pad would be a perfect background for the image! STAMPS: Bitty Banners (Reverse Confetti), Girl w/Daisy (Lili of the Valley. DIES: Bitty Banners, Gift Card Holder Tag and Hang Ups - all by Reverse Confetti. Stitched rectangle borders by Lil' Inker Designs. I decided to create two nearly identical cards using the current layout for the CAS(E) This Sketch challenge. 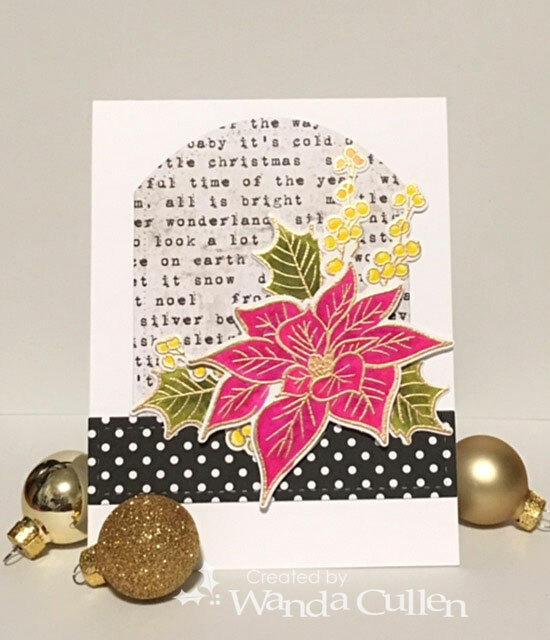 The poinsettias are from Verve's Joyous Noel stamp set - stamped in black on Cherry Cobbler cardstock. The leaves are Spellbinders' poinsettia dies which I sponged with Old Olive ink. The stitched lines are from Reverse Confetti's Edge Essentials die set and the sentiment was layered 3 times using RC's Winter Words die set. Patterned papers are from the Simple Stories 'Cozy Christmas' 6x6 pad - a long time favorite set of Christmas papers. Speaking of joy...as I finished my card, Martin Truex, Jr. won the Nascar championship race at Homestead! He dominated all season and I was rooting for him to win! Here's hoping you are having a super Saturday! If you have some free time to get inky, we'd love to have you play along with us in the new challenge at Inspired By All The Little Things! Check out this yummy pastel inspiration photo! I was inspired by the staggered heights of the trees and with the pastel shades of color. I used Coastal Cabana and Pink Pirouette inks by SU to stamp with this Tim Holtz' trees stamp by Stampers Anonymous. I love the subtle look of falling snow that is given with SU's Softly Falling embossing folder. 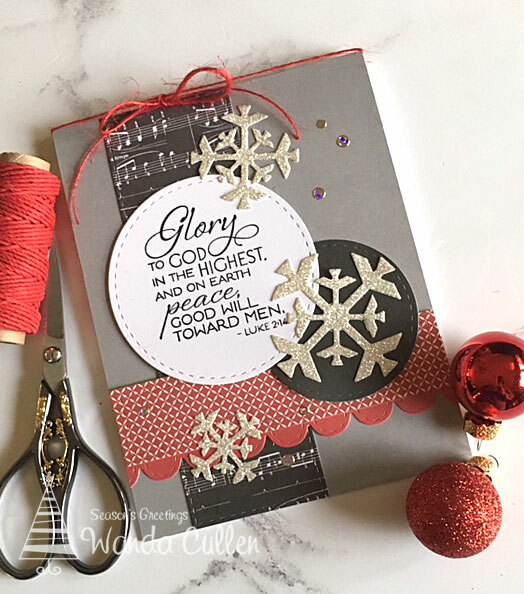 The sentiment is a combination of a Winter Words die (Reverse Confetti) paired with a white embossed 'christmas' from RC's Winter Words Coordinates stamp set. 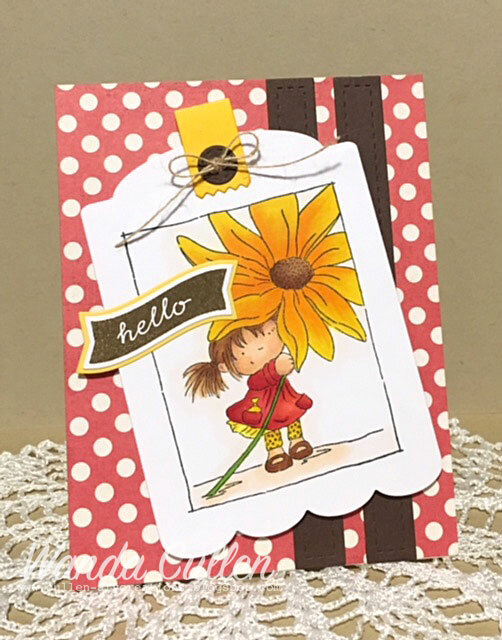 The tiny scalloped border is from RC's Edge Essentials border die set that is one of my all-time favorites! The striped paper is from Recollections' Blush and Mint 6x6 pad. We have the famous Susan Opel - a big name in the papercrafting industry - joining us as our guest designer this week! Be sure to stop and say hello!